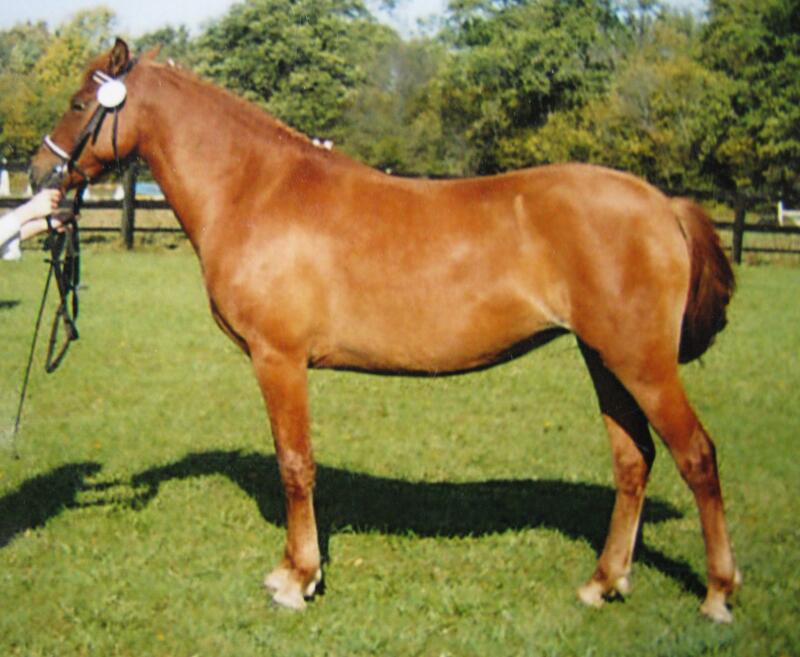 Voore Reval, gelding, born. 12.07.2016, chestnut. Reval is universal by type, proportional, will be 145-148 cm in height. 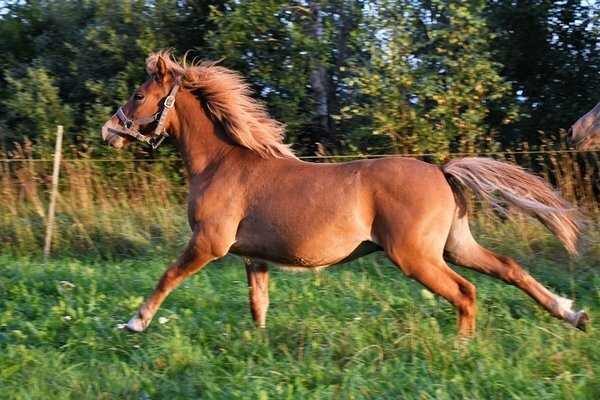 A long and spacious walk, a swift and good rhythmic trot and well balanced canter. As a result of trauma, one eye is blind. 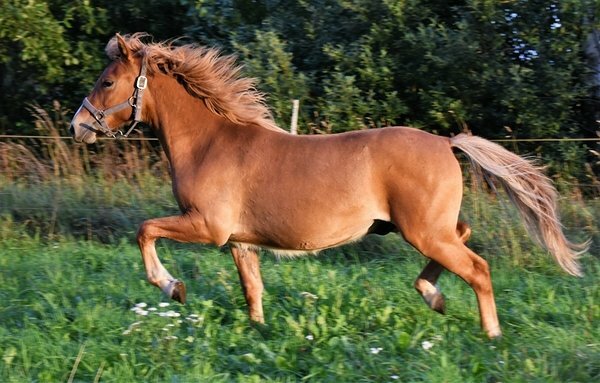 The horse is already used to the situation and is still playful and happy. 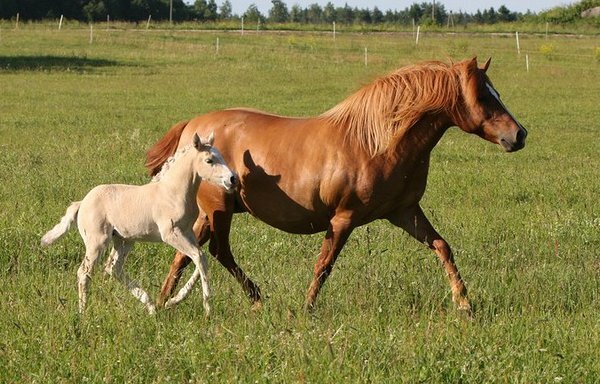 Will be nice family/hobbyhorse in the future. 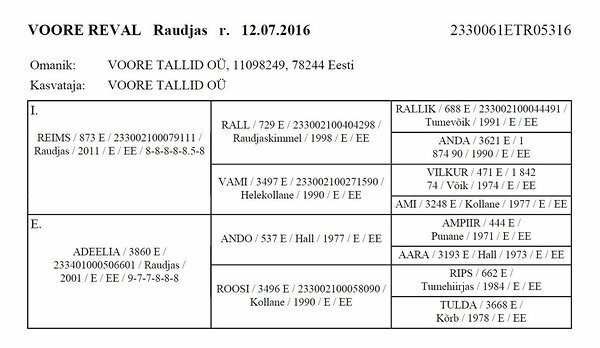 Sire: Reims 873E (i.Rall, e.Vami) is licensed Estonian native horse stallion. 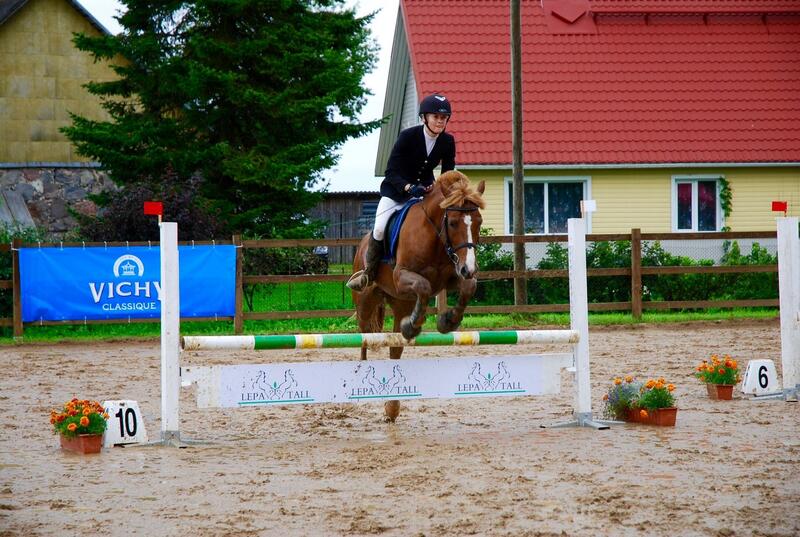 His type is sporty, with very good movements and a powerful jump. 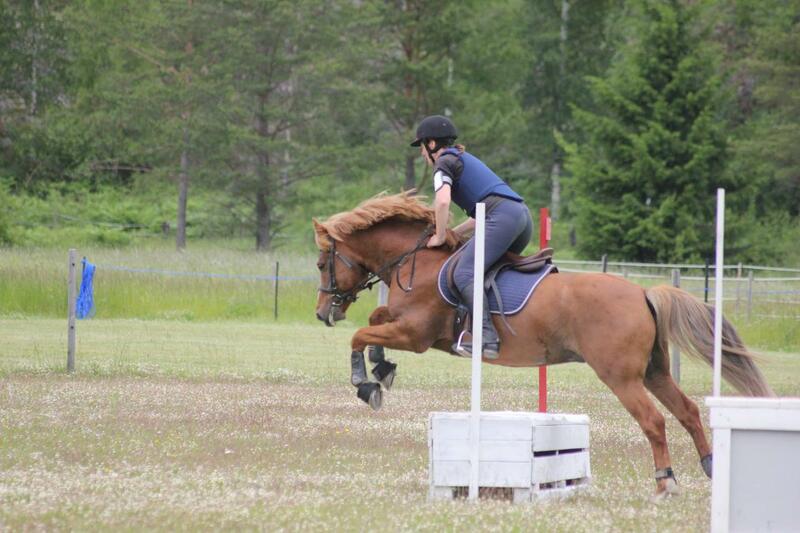 Has competed successfully at dressage and showjumping. 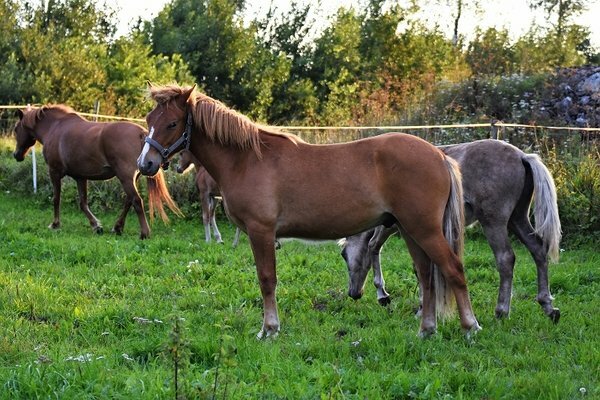 Reims is a fullbrother to stallion Ralf 824E, which has also proved itself in competitions. 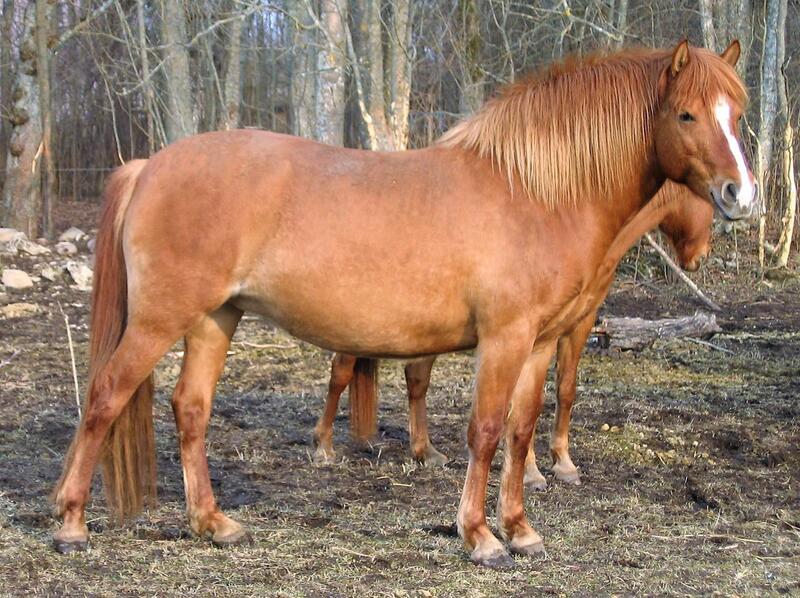 Voore Reval's mother Adeelia won "The best young mare" title at National Estonian Native Horses Show in 2003. 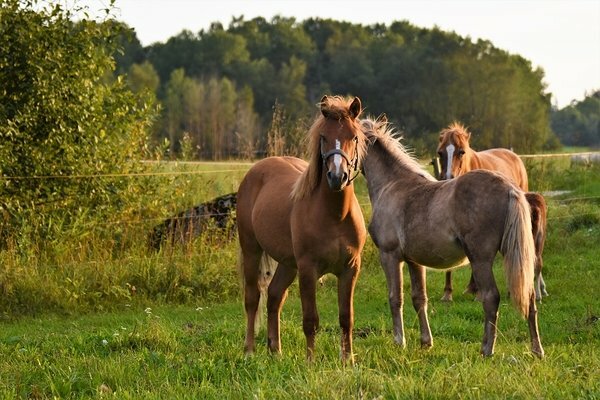 She has had several beutiful and sweet natured foals.